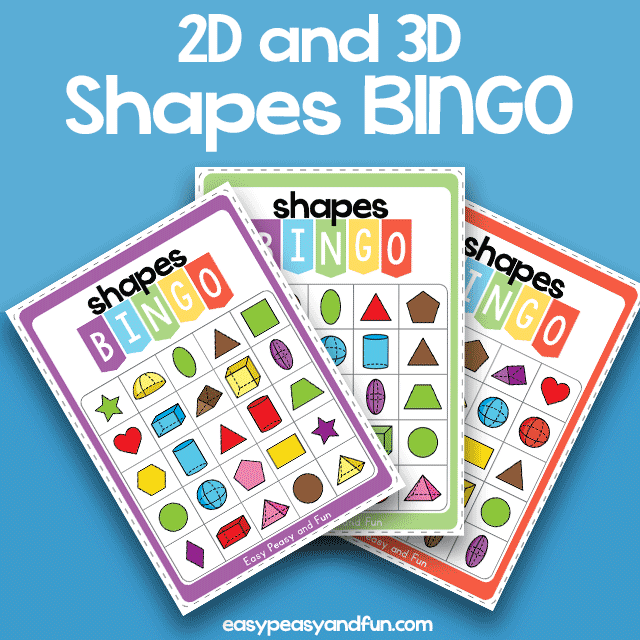 If you need a fun activity for revision of 2D and 3D shapes, print out these 2D and 3D Shapes Bingo game cards. These cards come in black and white (we also have a colored version) so you can either laminate these and have the kids use dry erase markers to play the game, or use them as they are with do a dot markers. There are 30 BINGO game cards in this set, so that's more than enough to use in the classroom (over and over again). Calling cards are also included. 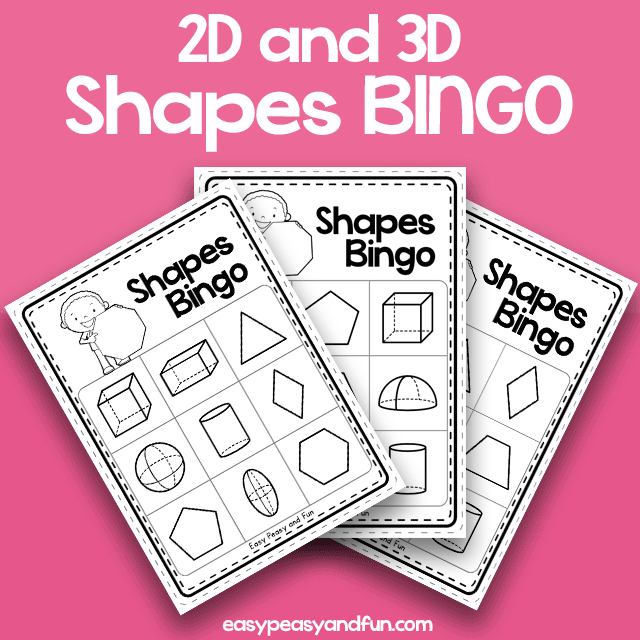 Review both 2D and 3D shapes with this fun 2D in 3D Shapes BINGO game. Print out the game cards - there are 30 of them so plenty to use in the classroom, laminate them and let the fun begin. Calling cards are also included. If you laminate them you can have the kids use dry erase markers or have them place tokens (or the ever popular erasers) on the game cards as the shapes are called. 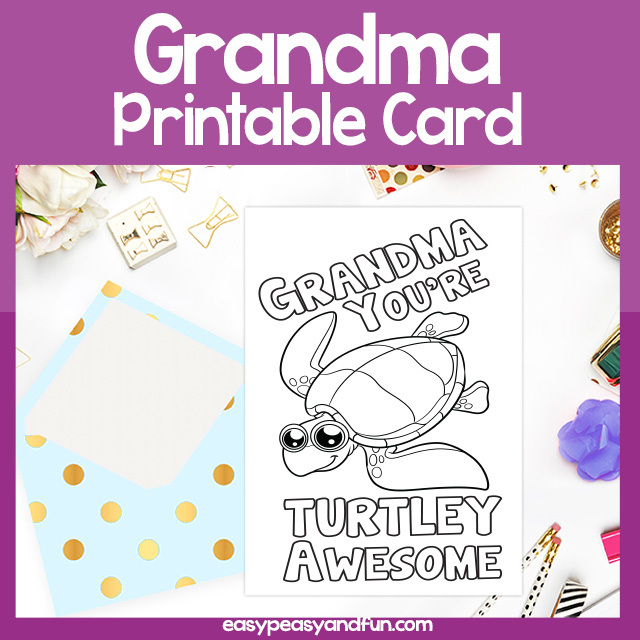 If your students or kids have awesome grandmas they absolutely deserve this turtley awesome card. Let the kids color in the turtle design as well as the letters and include a personal note inside this card. Easy low prep activity that's perfect for grandparents day. 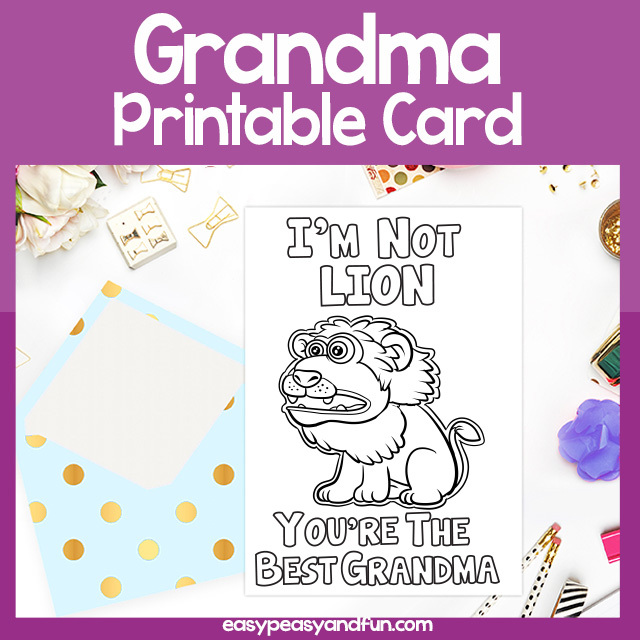 Every grand kid loving grandma deserves a nice little card here and there, especially for grandparents day. 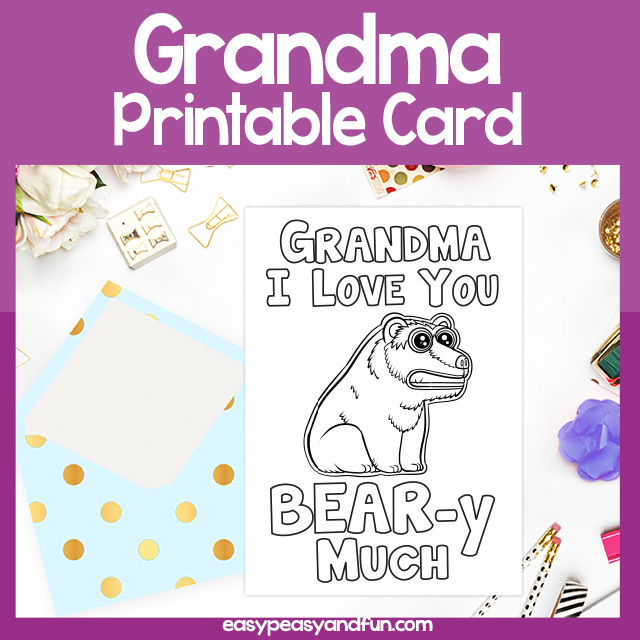 This card lets the kids let their grandma know they love her beary much. 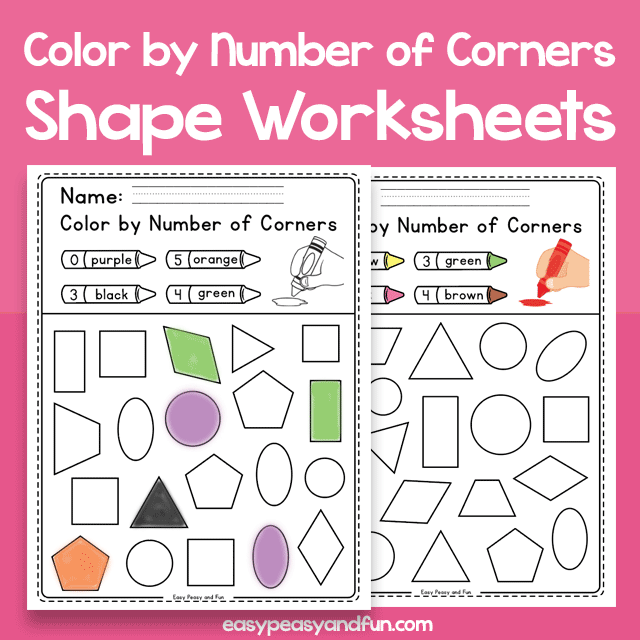 A fun coloring activity for kids of all ages. 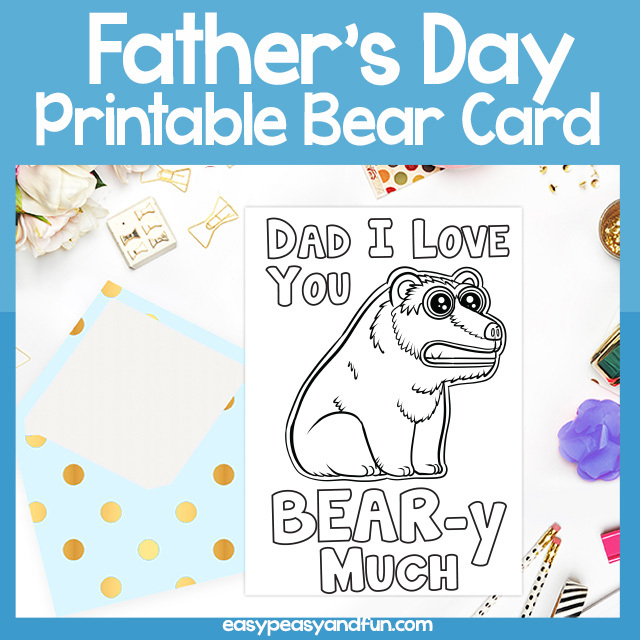 Bears give the best hugs and if kids have that special papa bear in their life he certainly deserves to know they love him beary much. This Fathers day card is ready to go, all that it needs is some color. Let the kids decorate the cards and add their note inside the card. Two handy sizes include - a large card where one sheet of paper makes one card as well as a smaller version of the same card with two cards per sheet of paper. 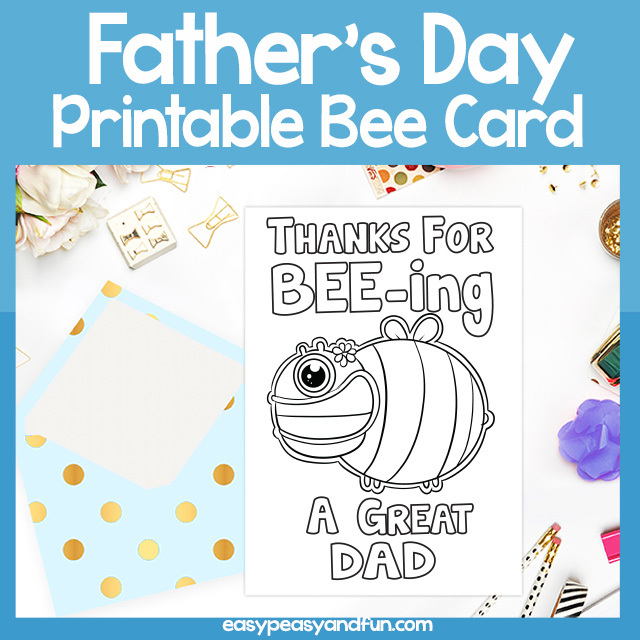 Even the busiest bees know that a great dad deserves a great card for Fathers day. 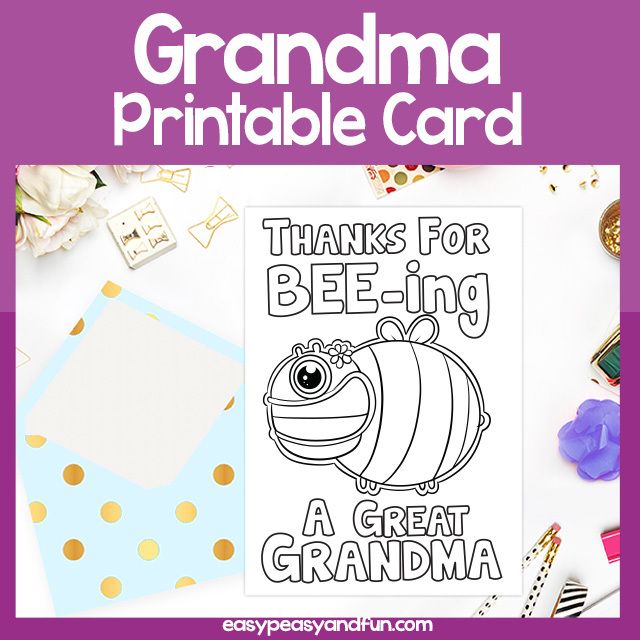 This card has a bee pun, thanking the dads for BEE-ing great. Both markers and crayons work well for these coloring cards, especially as they come in both the large size (one card per sheet of paper) and smaller cards size (two cards per sheet of paper). We're not lion when we say dads are great! 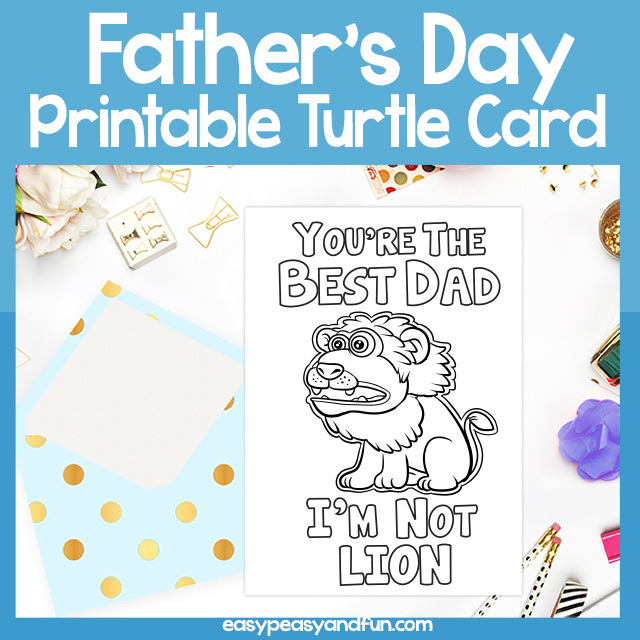 This "I'm not lion" fathers day card has one of the funnest puns kids like to use. 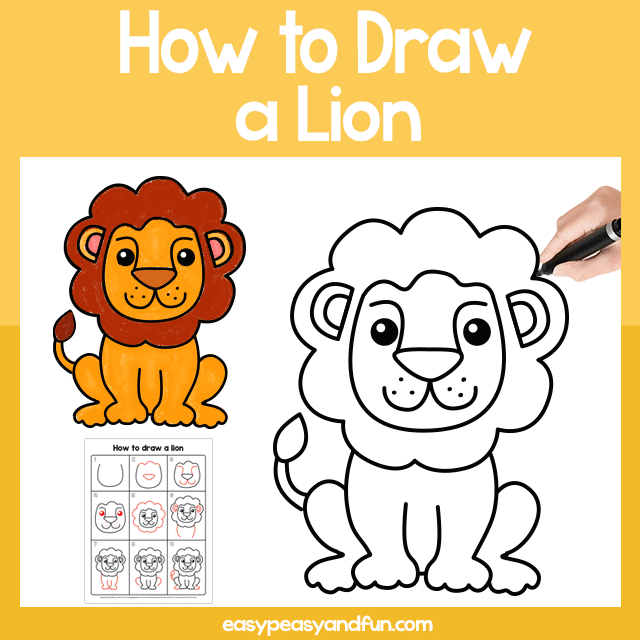 Easy no prep activity, just print and hand out along with crayons or markers. Two sizes included, large card - where one sheet of paper is folded in half to make a card, and small card - where there are two cards on one sheet of paper. Who's oFISHially the best dad? 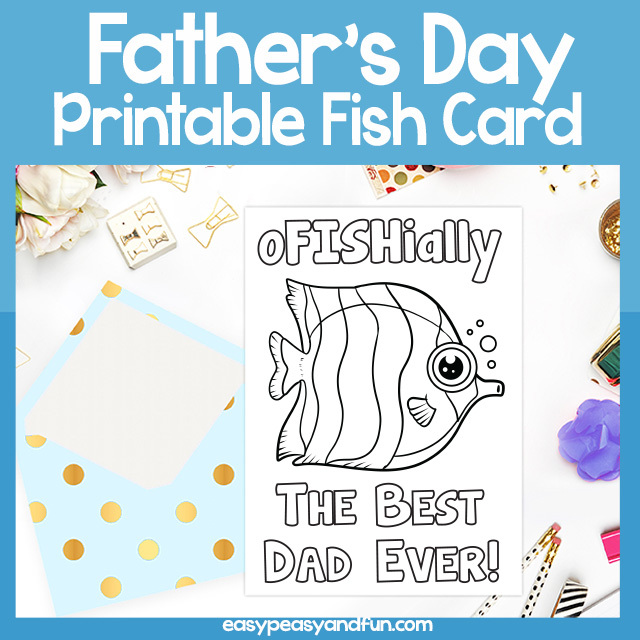 Let the kids surprise their dads with this cool card. It's an easy and quick activity that can be done in the classroom or at home - it can be used on it's own or as an addition to a handmade gift.